Intel only announced its Xeon Processor E3-1500M v5 Product Family for laptops on Friday. We caught up with that news yesterday, ending with Intel's request to 'stay tuned' for a launch this autumn. Today Lenovo has emailed HEXUS to announce that it has unveiled new mobile workstations built using Intel's mobile Skylake Xeon processors. 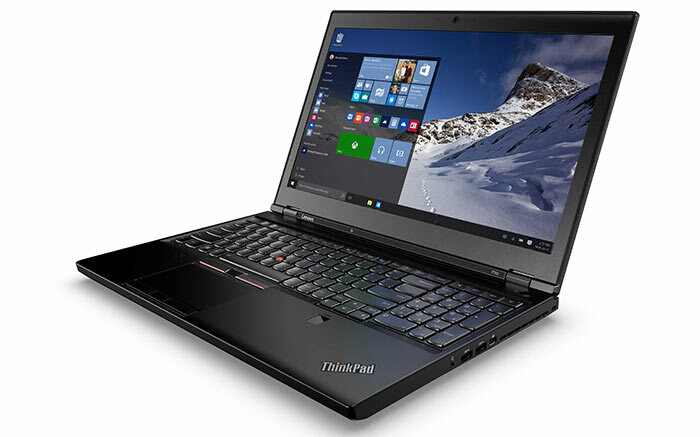 Lenovo is showing off the ThinkPad P50 and P70 laptops at the SIGGRAPH 2015 Conference and Exhibition. Both these laptops are based upon performance components including an Intel Xeon E3-1500M v5 Product Family processor and an Nvidia Quadro GPU. 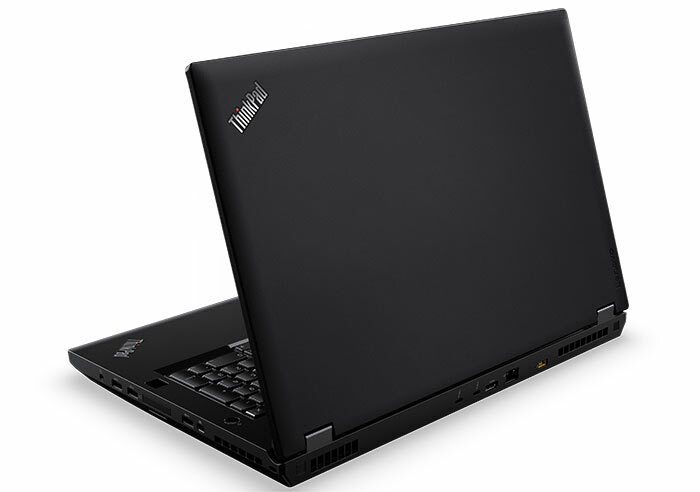 There are options to kit out your choice of Thinkpad P-series with lashings of DDR4 RAM and oodles of storage. Both models can be specified with a 4K screen and offer X-Rite Pantone colour calibration. To keep the Xeon processor ticking over contentedly Lenovo has designed a new dual-fan FLEX Performance Cooling system. At the unveiling Victor Rios, VP and GM, Workstations, Lenovo, claimed that "We've built features into these machines that were previously unachievable in a notebook, making them the most versatile and highest-performing mobile workstations ever." Rios added that "Introducing the ThinkPad P Series unites our mobile portfolio with our existing award-winning line of tower workstations, the ThinkStation P Series." While we have the basic spec for the Lenovo ThinkPad P50 and P70 laptops, as far as the processors go Lenovo has not revealed anything more than we got from Intel. With that in mind let's have a look at the basic specs and prices of the new Lenovo mobile workstations. This laptop is a 17-inch device. It can be equipped with a 4K UHD panel or optional FHD touch display. As well as an Intel Xeon E3-1500M processor and Nvidia Quadro graphics you can specify up to 64GB of DDR4 ECC memory to populate the four SODIMM slots. The ThinkPad P70 has capacity for up to four storage devices and up to a terabyte of SSD storage, utilizing the latest PCIe technology "for speeds up to five times faster than current SATA technology". Lenovo's ThinkPad P70 has a pair of Intel Thunderbolt 3 ports equipped and you will have other ports such as HDMI 1.4, mini DisplayPort 1.2, ExpressCard, SDXC, and Gigabit Ethernet available. For wireless connectivity the P70 boasts 802.11ac and Bluetooth 4.1 plus optional LTE. The P70 is about 30mm thick and weighs 3.4Kg. Its smaller display of 15.6-inches in diagonal is the main differentiator between this and the larger model. As usual in laptops the screen size reduction brings a different panel spec, dimensions, weight, battery life/capacity and price to the table. 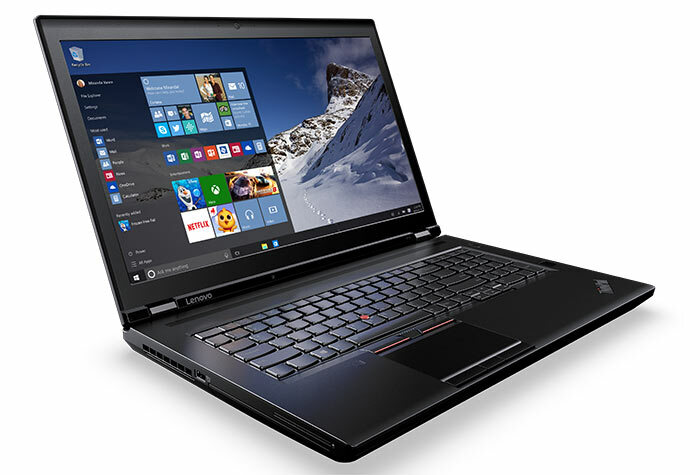 This laptop is Lenovo's "thinnest and lightest full-function mobile workstation yet". It's approximately 25mm thick and weighs 2.5Kg. Both new Lenovo Skylake Xeon workstations will be available from Q4 this year. Pricing for the P50 begins at $1599, and the P70 begins at $1999. 17"? 4K? OMG, why you no gaming laptops?